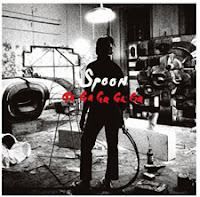 In conjunction with Spoon’s new album titled Ga Ga Ga Ga Ga , that’s being released today, I personally chose a song off of the album as this week’s Good Golly. Spoon…why does that name seem familiar? Oh yeah, of course, we use to have a band by the same name in our own country, but their name was such a joke, I couldn’t get myself to like the band. It had something to do with their songs, and their image and… what the hell happened to them anyway? I digress. But this band called Spoon from Austin, Texas offers something a lot more appealing. 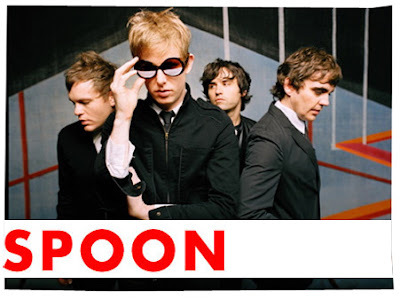 They call themselves Spoon and it was how they wanted their band to appeal to the listeners, and the weirdest thing is – calling their band Spoon doesn’t seem funny at all. If you’re an Indie Rock band from America, you can call your band Spoon or Spring or Umbrella, and we still wouldn’t find it funny, we call it ingenuity. Bottom line is: if you’re a band that does serious, sappy, heartfelt songs, don’t call your band Spoon, there’s just something very wrong there. But, I digress again. ‘The Underdog’ is a fun, catchy song thanks to the horns blasting throughout the tune. It’s a song that’s easy to like whether or not you’re a Spoon fan, provided that you do like these kinds of songs. The song has been out in the wild for a while now, even before the album was released, so yeah, we’re a little behind of time, but nevertheless, better late than never.